I currently have 2 Black Giant X NH hens; Port and Starboard, nearly identical except for their comb flop. Their brother is Rusty one of 4 Roos penned seperately, 2 Black Giant Pullets with 2 Black Giant cockerals, and 3 New Hampshire hens. (11/22/08). Also 9 Delaware x Cornish chicks hatched (11/8/08). Dusty looking for a meal. 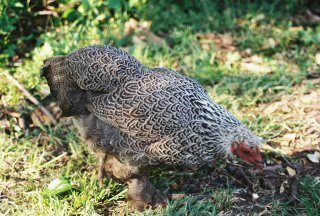 (Black Brahma Bantam hen.) I miss her. 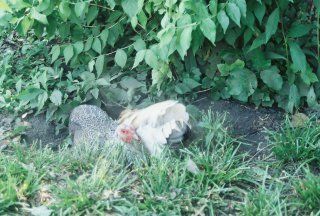 Two hens neck deep in a wallow under a shade tree. Three roos (Black Brahma Bantams) Picture taken from the hen side of the coop. There is a basement too, roo on right is just about to jump down. A roo is on upper perch looking out the window. Only his feet are visable. A fourth roo is in the basement, out of the picture. I have since moved the water can upstairs. They kept filling it with litter. This is Rusty my NH roo X Black Jersey Giant hen Cross. 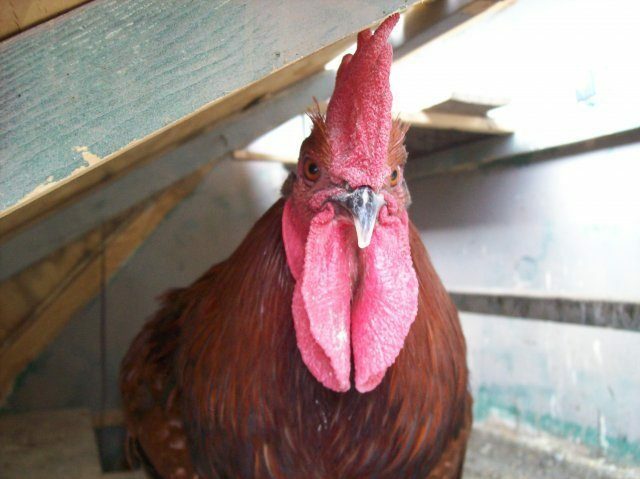 Me and my chicken coop. 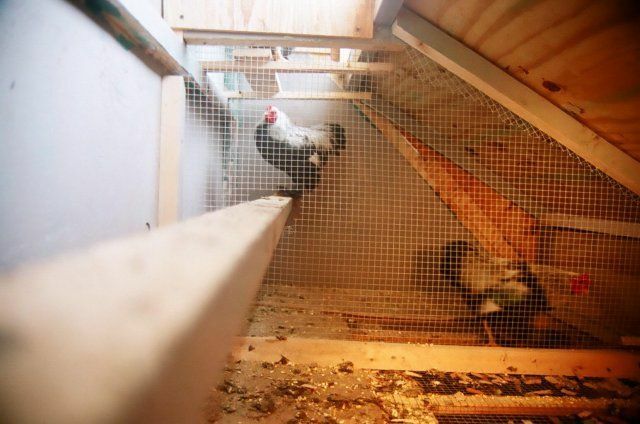 Chicken tractor in forground.